Investing in arts organizations and artists to help grow the economy in Upper Manhattan. Upper Manhattan is home to a remarkable concentration of arts organizations and artists representing multiple art forms, traditions, and aesthetics. This cultural community has a rich history of nurturing vital new expressions in a multitude of disciplines. UMEZ established the Cultural Investment Fund (CIF) to invest in these groups – one of the largest concentrations of culturally-specific groups in the country – as a powerful way to enhance the economic vitality of Upper Manhattan. Cultural investments are specifically focused on organizations that produce and/or present cultural activities for the public. These activities attract audiences to Upper Manhattan and thus help spur the local economy. Grants are designed to strengthen organizational capacity. A new program for fiscally-sponsored artists and collectives and small organizations was launched in 2017 to support their public-facing activities. 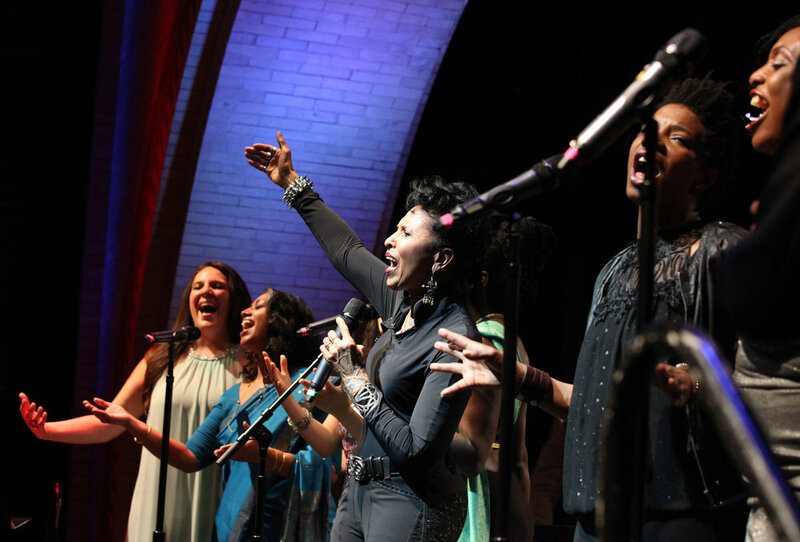 Since 1996, CIF has awarded over $55 million in grants to members of Upper Manhattan’s nonprofit cultural sector. These investments have strengthened Upper Manhattan’s nonprofit organizations, building their capacity to shape a vibrant cultural landscape while leading to more visitors, new jobs, and increased economic activity. A 2016 study by UMEZ and the Regional Plan Association, Leveraging the Power of Cultural Investments, illustrates the impact that UMEZ has on the emergence of Upper Manhattan as a primary cultural hub for New York City. The organization or project’s principal mission must be the production and/or presentation of arts and culture for public audiences. Must be located in Upper Manhattan and regularly provide public-facing programs in one or more of the communities in Upper Manhattan, defined as north of 98th Street on the east side of Fifth Avenue; and north of 110th Street on the west side. Must be a registered 501(c)(3) nonprofit. Individual artists or unincorporated collectives and groups must have an approved fiscal sponsor. Must have no unaddressed or unresolved tax obligation. May only have one active CIF grant at a time. Must wait one year between grants; however, UMEZ Arts Engagement Grant recipients may apply for funds for three consecutive years before taking one year off from funding. Prior grantees that have failed to submit required reports to UMEZ. Please review the grant pages for additional eligibility requirements and restrictions that are specific to each grant category. The Upper Manhattan Empowerment Zone does not support organizations that discriminate on the basis of race, religion, creed, national origin, disability, handicap, age, sexual orientation, gender identity, gender expression, mental status, veteran status or any other basis prohibited by law, with respect to employment, membership, and/or provision of services. Cultural Investment Fund (CIF) fosters the dynamic and diverse arts scene of Upper Manhattan by awarding grants in the following five categories. Each category has its own eligibility, restrictions, and matching requirements, in addition to the eligibility and restrictions that apply to all applicants. Click a grant to find out more. Below are some frequently asked questions about the Cultural Investment Fund grants program. Additional information on the UMEZ Arts Engagement program can be found here. + How do you define Upper Manhattan? Upper Manhattan is defined as north of 98th Street on the east side of Fifth Avenue; and north of 110th Street on the west side. + Does my project have to take place in Upper Manhattan? Yes. The funds we allocate are public, drawn from federal, state, and city sources, and are specifically intended to benefit Upper Manhattan. + What if my project takes place across several boroughs? We are only able to support the project activities that take place in Upper Manhattan. + Do I have to be located in Upper Manhattan? Yes. Organizations must have their primary office here, and use that address on their IRS Form 990 filing. Artists must live here. + What is your grant deadline? The application deadline for a 2019 UMEZ Arts Engagement grant is Tuesday, September 18, 2018 at 5pm. Applications for the other UMEZ grants are accepted on a rolling basis. + What is your funding timeline? Each grant category has its own timeline. Click here for a sample timeline for Capacity, Infrastructure, Technical Assistance, and Catalyst grants. + How can I find out if I'm eligible? Start by reviewing the eligibility requirements (click on Eligibility above) and then move on to the additional eligibility requirements that are specific to each type of grant. + Do I have to be a nonprofit organization or have a fiscal sponsor to apply? Yes. Organizations are required to have nonprofit status. Individual artists and collectives applying for a UMEZ Arts Engagement grant must have a fiscal sponsor. Learn more about fiscal sponsorship. + What do you mean by “must have an active, functioning Board of Directors”? Board members should act as ambassadors for the organization, attend meetings and events, make contributions, invite others to attend and/or donate, and oversee its financial health and management. Please note that a Capacity, Infrastructure, Catalyst, and Technical Assistance grant from UMEZ will require 100% board giving during the grant period. Each board should determine its own personal giving policy and minimum contribution. + What do you mean by public programs? Your productions and/or exhibitions must be open to the general public, whether for free or by paid admission. + My organization meets all other eligibility requirements, but performs at a church. Are we still eligible even though UMEZ doesn’t fund religious institutions? If you rent space at a church for your performances, you are eligible. If your organization is a program of the church, however, you are not eligible. + What do you mean by "restricted to an organization’s membership”? The project activity needs to be open and accessible to the public. Projects intended solely for an organization’s membership are not eligible. + Does the public component of my project have to be free? No. Events can be free, ticketed, or suggested donation. Fundraising events, however, are ineligible. + Do you fund General Operating Support (GOS)? The UMEZ Arts Engagement program is the only grant category that allows funds to be spent on general operating expenses. You’ll find more about our GOS policy here. + Why do I have to take a year off following a grant period? UMEZ Capacity and Infrastructure Grants support specific capacity-building projects that generally include new staff, technology, marketing and development, and other infrastructure items, which must be sustained using other sources of revenue following the grant period. Taking time off before submitting another application allows time to test the success of the grant. UMEZ Arts Engagement grantees may receive funding for three years in a row before taking a year off to allow for a broader distribution of support. + My budgets vary a lot from year to year. How do I know if my budget size meets the application requirements? Use the average of the last three years of your operating expenses. If you’re close to the required budget size for a grant category, you may still submit an LOI. Please remember that an organization’s budget size often reflects whether it has the time and personnel needed to manage UMEZ’s extensive reporting requirements, especially for Capacity and Infrastructure Grants. + How do I know if my organization is required to have audited financial statements or reviewed financial statements? The NYS Charities Bureau establishes the thresholds that apply to having a Certified Public Accountant (CPA) provide an audit of your financial statements or simply provide a review of your financial statements. If your organization is not required to have a CPA prepare your financial statements, you still must be able to provide an annual statement of income and expense for your organization. + My organization is currently in the process of negotiating an unpaid tax obligation. Can we still apply for a grant? Yes. Please be transparent, because unpaid taxes show up in your organization’s financial statements, which you’re required to provide during the application process. We will require documentation that you’ve corrected the matter prior to approval. + Applying for a grant is complicated. Can I get some help? Periodically, UMEZ offers info sessions for potential applicants to learn more about the grant process. Currently, there are no scheduled UMEZ info sessions. To inquire about the next session, email culture@umez.org. Our granting partner, LMCC, offers info sessions related to UMEZ Arts Engagement. Info sessions for the FY19 funding cycle have concluded. + Do I have to attend an info session? First time applicants applying for a UMEZ Arts Engagement grant are required to attend a UMAE info session. Applicants applying for a Capacity, Infrastructure, Catalyst, or Technical Assistance Grant are not required, but are strongly encouraged to attend a UMEZ info session. + Can I apply for more than one grant? No. Applicants cannot apply for more than one grant at the same time. + Which grant should I apply for? If, after reviewing the eligibility guidelines and attending an info session, you're not sure which grant to apply for, email us at culture@umez.org. + How much should I apply for? There is no set formula for determining a request amount, but grant requests may be no more than 50% of the organization’s unrestricted operating expense, excluding in-kind expense, in its last audited financial statement. It is better to develop a realistic project budget that fits your overall financial status, and takes into account the grant matching requirements. Note that the request amount presented in your LOI and/or Application is not considered final, and you may not receive the amount that you requested. + What is the matching requirement, and will I need it confirmed prior to applying? Capacity, Infrastructure, and Catalyst grants each have their own matching requirement. The match for a Catalyst grant must be confirmed prior to applying. 10% of the match for Capacity and Infrastructure grants must be confirmed before a grant can be executed, and the balance to be secured will be carefully tracked throughout the life of the grant. If awarded, we strongly encourage you to leverage this match to secure new funding! + What is an LOI? An LOI is a Letter of Inquiry, which is the first step in applying for a Capacity, Infrastructure, Technical Assistance, or Catalyst grant. It offers an overview of the organization, the project for which you’re requesting support, and budget, if applicable. An LOI is not needed to apply for the UMEZ Arts Engagement grant. + What documents do I have to submit for financial requirements? Unless required, applicants should feel free to submit financial documents that are prepared from their accounting software, or through some other function. Be advised that documents should be well detailed and reflect the activities relevant to the organization. Applicants are also welcome to use UMEZ-created templates. + What are your reporting requirements? UMEZ Arts Engagement grant recipients will report through the grant administrator, LMCC. All other grants are tailored to the organization’s needs, which means that each set of reporting requirements is specific to that grant. Reports are generally required every six months, and include both narrative and financial sections. Because UMEZ funds are drawn from federal, city, and state sources, all grant expenses and matching revenues must be fully documented. Other normal administrative documents are also required, such as annual financial statements, minutes of the board meetings, and development plans. + Can I see a sample of the required reporting documents? + What sort of projects do you fund? Each of the five funding categories is intended to address different needs. Applicants should carefully review each type of grant to determine which is most suitable for your organization’s needs, while keeping in mind the timing, potential for matching funds, and reporting requirements. + How do Capacity Grants and Infrastructure Grants work? Grant costs can include such items as salaries and benefits for new administrative staff; a percentage of the salaries and benefits for existing staff if required to execute the project; consultancies; and technology and materials required for the project. Payments of grant funds are structured to pay out a decreasing percentage of the project costs over the grant period (for example, 75%, 50%, 25% over three years). Each grant will require matching funds that support the specific grant project, or are drawn from unrestricted support that is not needed to cover other ongoing operating expenses. The matching requirement for a Capacity Grant is one to one. Once a Capacity Grant is complete, the organization must be able to continue paying for newly added staff through other sources of earned or contributed revenue. UMEZ will fund up to 75% of the project cost for an Infrastructure Grant. + How does a Technical Assistance Grant work? Technical Assistance Grants provide funding for short-term consultant engagements that will help an organization to address a particular need. This consultancy will result in a planning document that clarifies the issue being addressed and will guide the organization in implementing a proposed solution. Organizations that receive a Technical Assistance Grant will be guided through a consultant selection process from UMEZ’s pre-approved consultant pool. CIF will recommend several consultants based on criteria that include the organization’s size and mission, project parameters, and consultant expertise. CIF staff will provide contract development and management, payment processing, and implementation oversight. CIF support for a Technical Assistance project will range from $20,000 to $50,000. While leveraged funds are not a requirement for these awards, proposals that include a match are encouraged. + Do I have to use a consultant on UMEZ' pre-approved list? If you’re applying for a TA grant, you must work with a consultant from UMEZ’ pre-approved list. If a consultant is a component of a Capacity or Infrastructure Grant request, the consultant does not have to be from the pre-approved list. + How do I get program updates? Sign up for our mailing list, and/or follow us on Twitter. + I have read everything, but still have a question. There’s always that one question we didn’t address. Email us with your question at culture@umez.org. We will get back to you! For applicants to the UMEZ Arts Engagement program, LMCC can assist you at UMAE@lmcc.net. + We’d like to invite UMEZ to our upcoming performance/exhibition. What’s the best way to send invitations to attend our program? Thank you! We try to attend as many cultural events as we can, and are always happy to learn about your activities. Invitations should be sent via email to culture@umez.org.